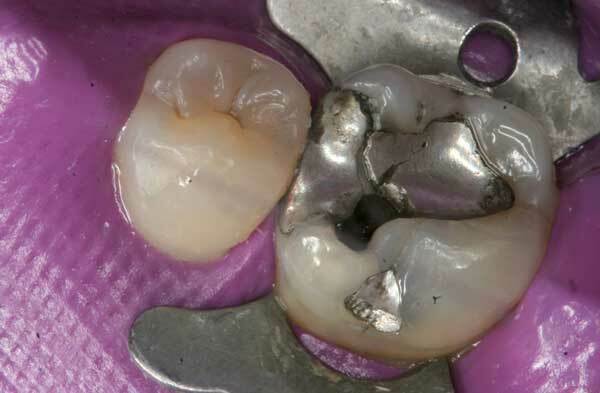 The replacement of serviceable amalgams for health reasons by dentists is considered unethical by the ADA code of ethics. 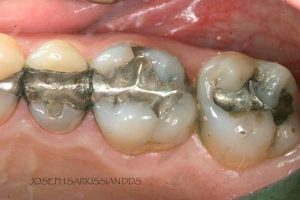 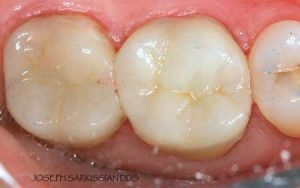 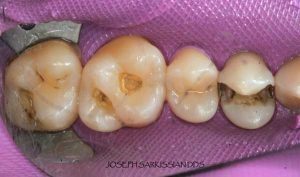 Dr. Sarkissian never convinces his patients to replace amalgam fillings unless there is evidence of failure or recurrent decay, or the patient prefers to replace them for cosmetic purposes. 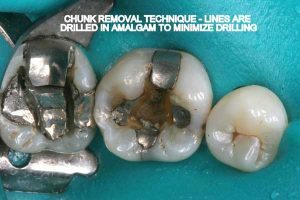 He will never guarantee any improvements in health conditions or diseases unrelated to the oral cavity, just on the basis of removing amalgam fillings. 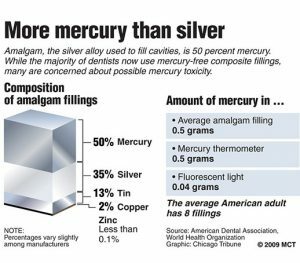 If you are one of millions who have educated themselves on the mercury amalgam controversy and have touched that subject on the web, we do not have to give you a long lecture. 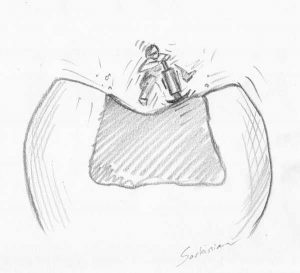 The purpose of this section is not to examine and debate its toxicity, nor to discuss methods of heavy metal detoxification. 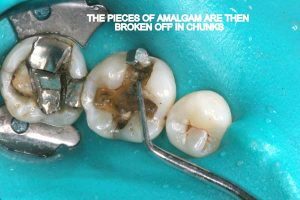 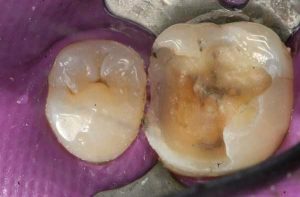 However, we feel inclined to provide a summary of the scientific facts about amalgam, its properties, its effects on teeth, and our precautionary protocols surrounding their removal. 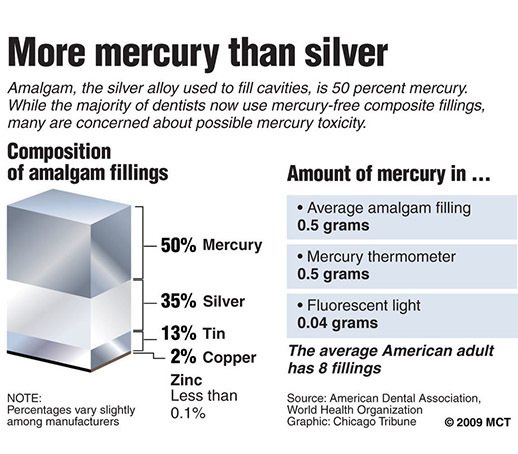 Half of what is known as amalgam is mercury, one of the most toxic substances known to man. The other half is made up of a powder of varying portions of silver, copper, zinc, and tin. As the liquid mercury and the powder are mixed, a paste is formed, which eventually hardens into an unstable “alloy”. 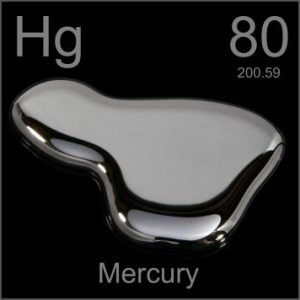 In fact, it is not a true alloy, but a conglomerate of different “phases” between the mercury and the other metals, some of them somewhat stable, some less stable. Being unstable means that if the temperature of the amalgam “alloy” is raised, or its surface is agitated and/or rubbed, mercury vapor will be released in significant amounts. 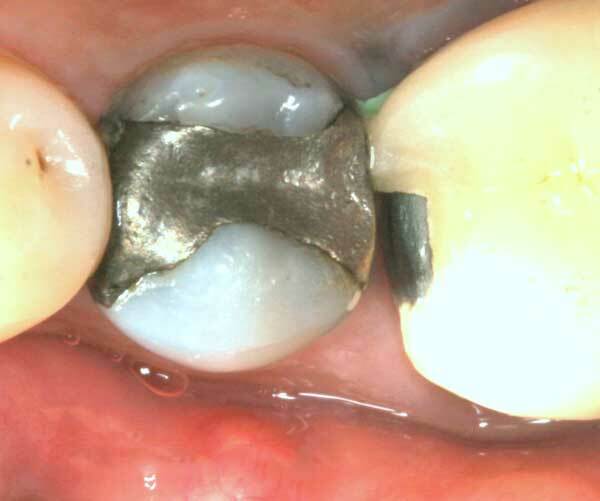 This does not happen with a true alloy. 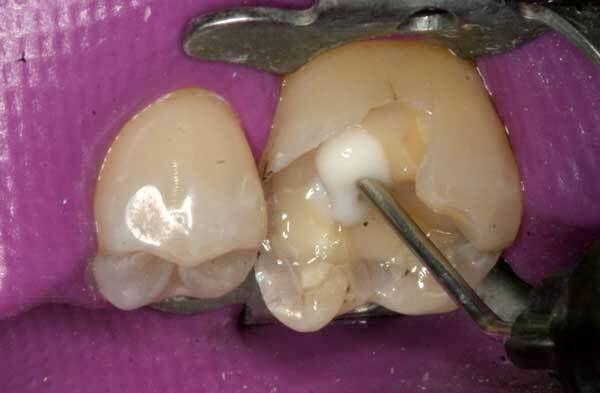 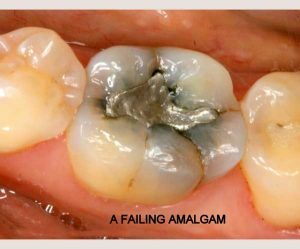 The main reasons amalgam caught on in the late 1800’s, (yes, you read it, more than 150 years ago) was the ease of placement, relative durability, and cost. 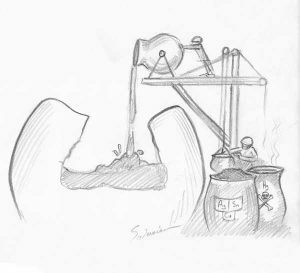 Finally, there was a substance which would be affordable by almost anyone. 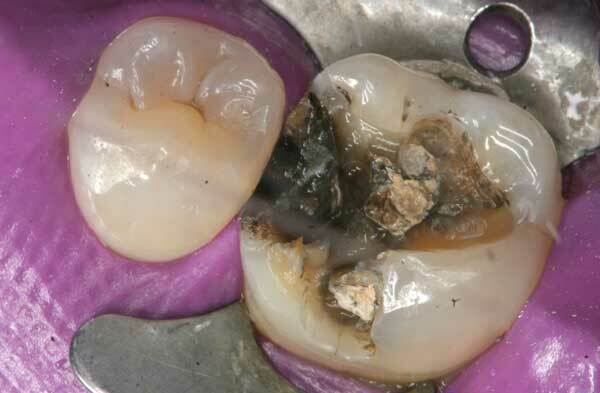 After the initial furor and controversy surrounding its toxicity, it was eventually accepted and adopted by the ADA. Mercury amalgams were now being placed into the mouths of millions of people worldwide. 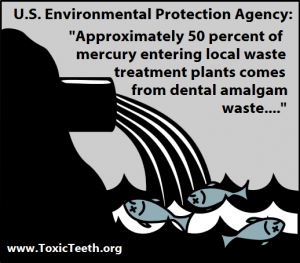 Not to mention the vast amount of elemental mercury that was (and still is) entering the environment, in the form of human excrement, or as these metals are ground away by dentists, or as deceased amalgam carriers are being cremated. 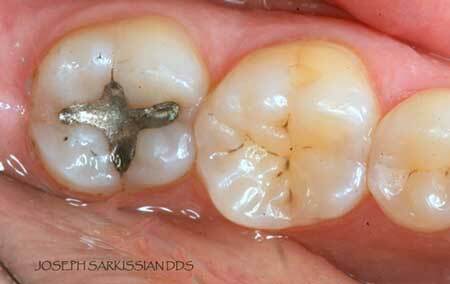 Before a dentist places amalgam, the tooth cavity is first ground down into a particular form with undercuts. 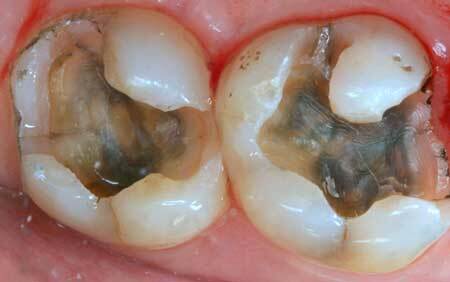 This unnatural gouging of the tooth weakens the cusps and creates internal strains. Second, the dentist packs the amalgam paste into the cavity and then carves it into shape before it hardens completely. 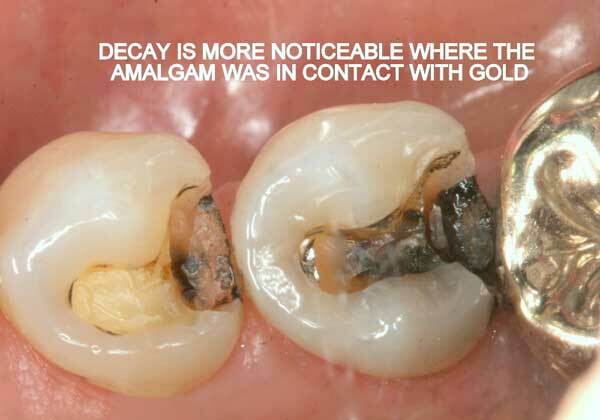 Non-bondable nature promotes decay. There is no bond between the amalgam and the tooth structure. It is merely condensed tightly, and the only reason it does not fall out, is because of the retentive undercuts. The microscopic gap between the amalgam and the tooth will eventually allow for moisture and bacteria to creep in and cause recurrent decay. 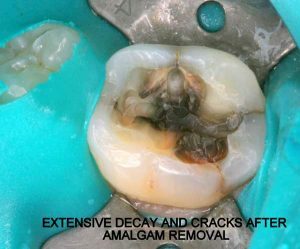 99% of amalgams I replace harbor underlying decay. 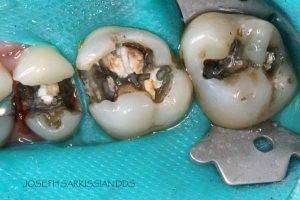 Most are completely undetected, until the damage is so extensive that the tooth will succumb to an expensive root canal treatment, or the walls will break off. In both cases, one faces extensive costs and discomfort. 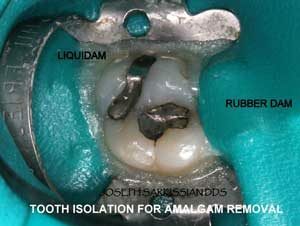 Expansion and contraction: Amalgam has significantly different physical characteristics than tooth structure. Being a metal, temperature fluctuations will cause it to expand and contract at a higher rate than the tooth structure. 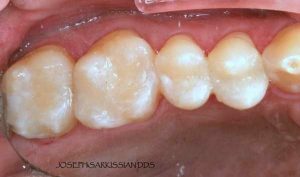 This discrepancy causes the already weakened tooth to crack and split. This constant “pumping” effect will cause cracks to propagate along the walls, under the cusps, sometimes even splitting teeth in half. Electrogalvanism: Amalgam is considered a non-noble metal which easily corrodes. 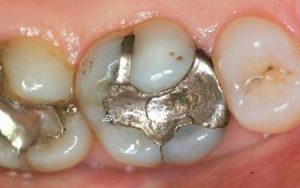 This sets an electric current in motion, also called a galvanic current, which flows through the tissues, other metals, and the wet oral environment, to complete its circuit. 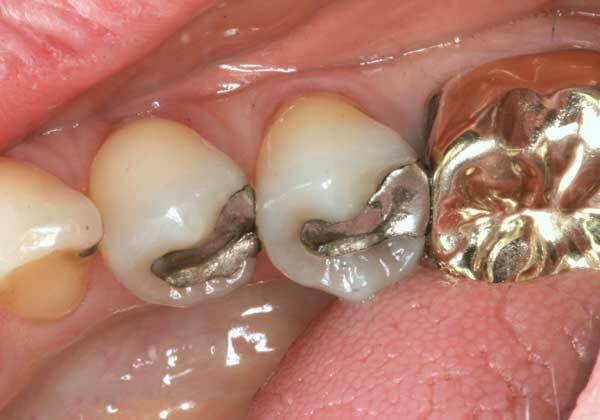 The more dissimilar the metals, the higher are the currents. 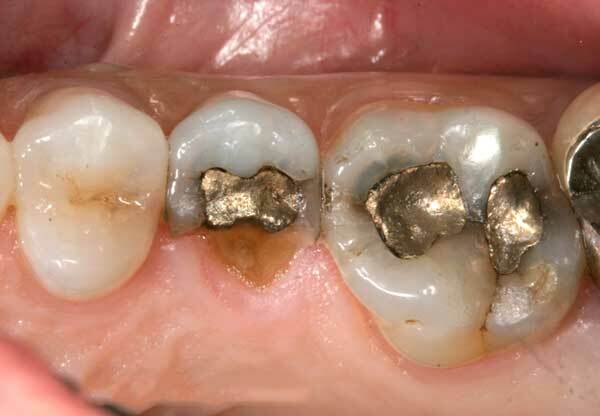 The worst currents are between gold and amalgam in direct contact. 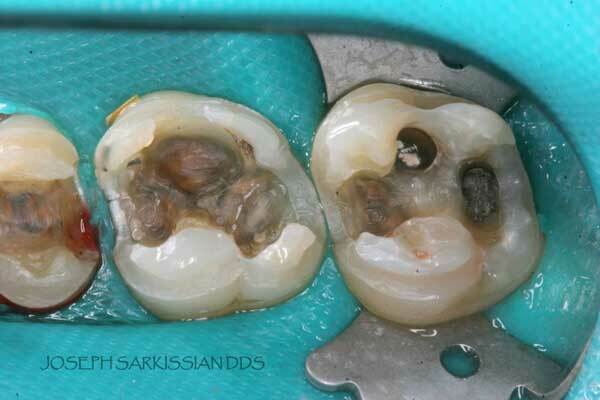 Amalgams are cosmetically unacceptable and ugly, particularly as we enter the 21st century. They are a violation of the esthetic, biomimetic and minimally invasive principles that modern dentistry promotes. 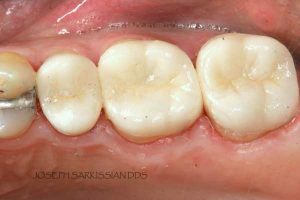 Endowed with modern advances in technology and material science, today we have an abundant supply of acceptable, esthetically pleasing and durable options to restore teeth. Amalgams are a significant source of mercury exposure: It is a patient’s personal option to have amalgam fillings placed, or prefers to replace them. There is no direct link between amalgams and a particular disease, but there is ample evidence that mercury from amalgams is released, and that this mercury can be stored and traced in our organs. 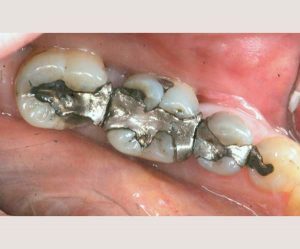 The fact that tooth grinding or exposure to higher temperatures causes an accelerated release of mercury vapor from amalgams is not something that one can brush aside. 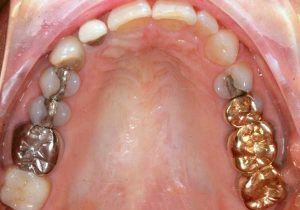 There is evidence that the amount of mercury stored in some organs is in direct proportion to the number of amalgams in a person’s mouth. In many countries the placement of amalgams in children, in pregnant women, or in those who have kidney impairment, is discouraged. 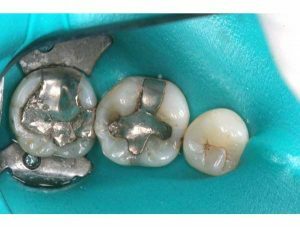 The main issue surrounding replacement of mercury fillings is to minimize mercury release into the surrounding air and environment, and to prevent exposure to patient and staff alike. 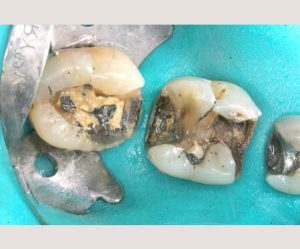 This rule should be followed by ANY dentist replacing amalgams, not only biological dentists. It is unavoidable that some mercury is released when drilling out these old fillings, but with the right precautions the risk of ingesting this poison can be eliminated for the patient as well for the dentist and his assistant. 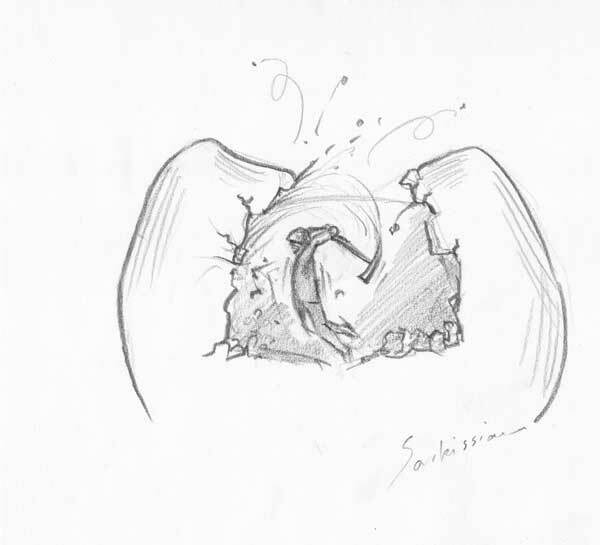 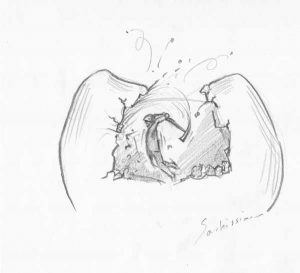 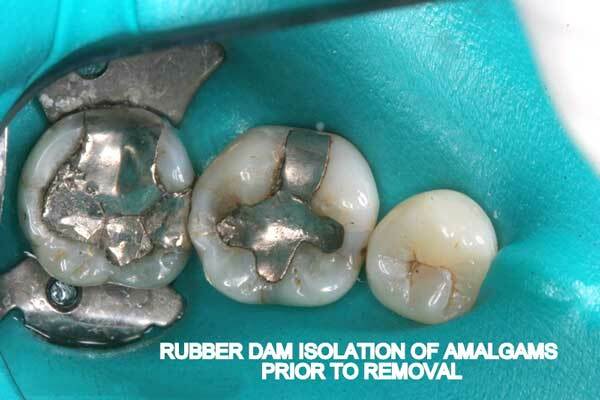 Rubber dam: A rubber sheet is stretched around the tooth to isolate it from the rest of the patient’s mouth. 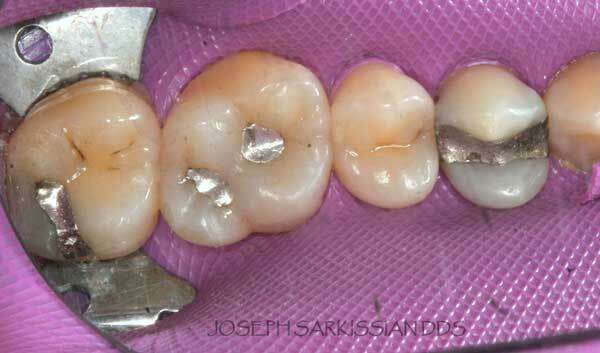 Slow speed drill and thorough water cooling is absolutely essential in reducing mercury vapor emission. 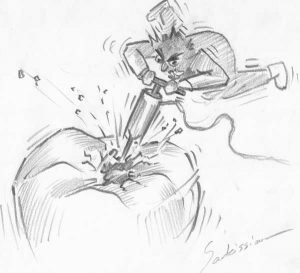 We use a high-torque electric drill at 40,000 RPM for this purpose, as opposed to the 400,000 RPM turbine drills. Chunk removal: Amalgam is sectioned and then manually removed in chunks. 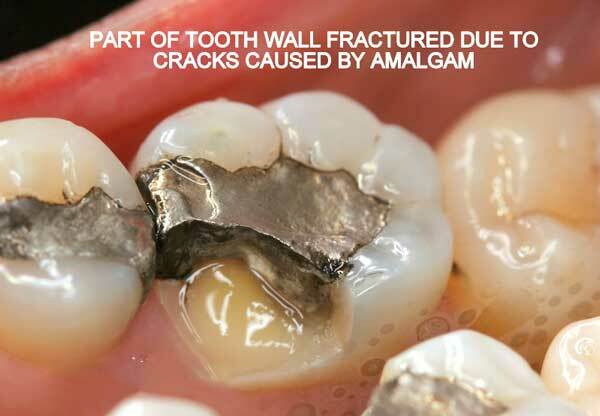 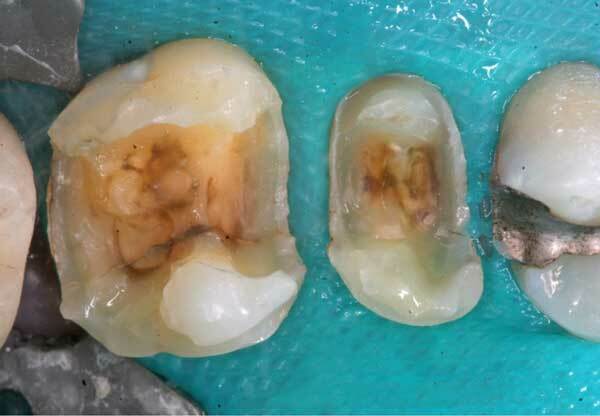 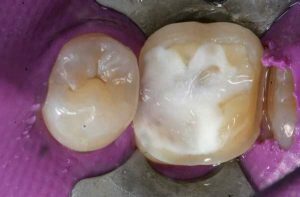 This is possible since amalgam is not bonded to tooth structure. This way the actual drilling of amalgam into fine particles, as well as mercury vapor release is minimized. Dent-air-vac, a high-volume air filtration system with three layers of filters is used to clean the air in the immediate vicinity of the patient’s head during drilling. 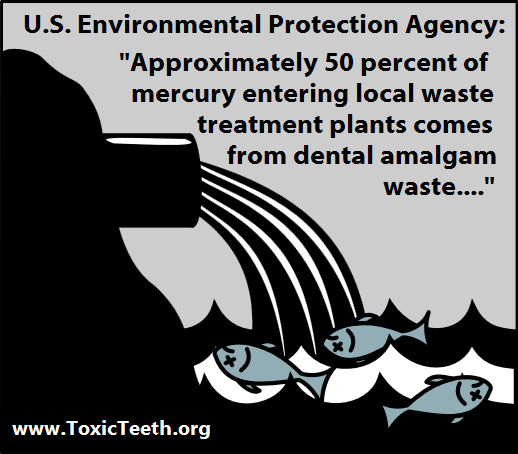 One of the filters inside is an activated charcoal filter which absorbs mercury vapor before the air is re-circulated. 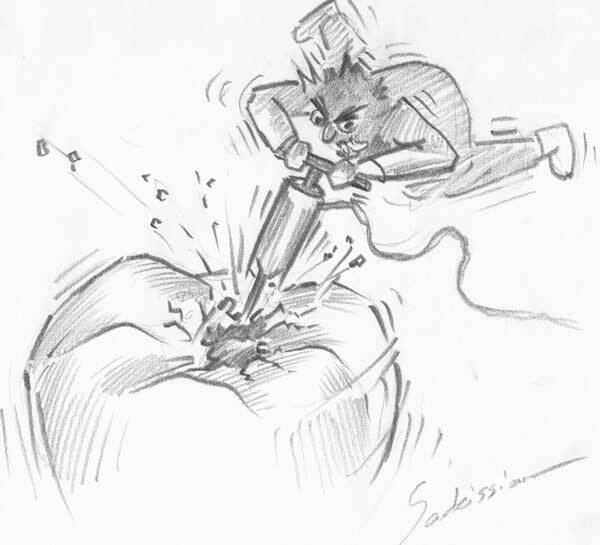 Oxygen administration via a nasal cannula, which in turn is covered with a moist napkin, ensures that the patient is breathing in clean oxygen during the drilling process. 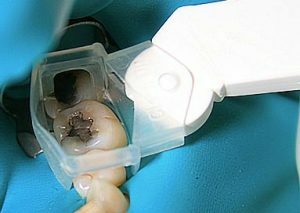 Activated charcoal in suspension is given to the patient to drink just before the procedure, in order to absorb any mercury that escapes despite the precautions. 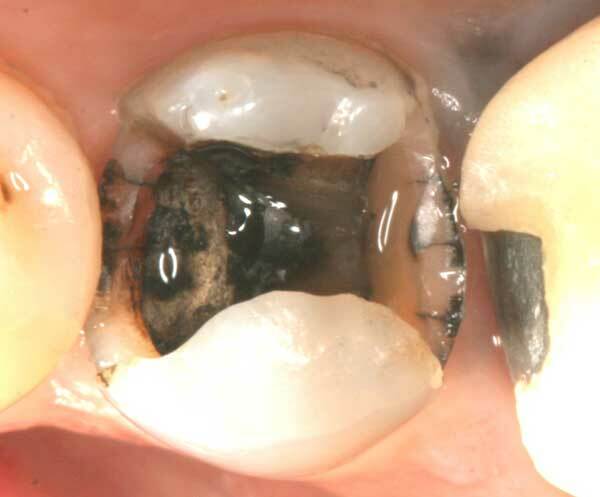 Most small amalgams with moderate decay and no cracks can be restored with composites. 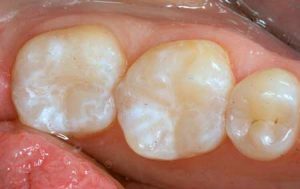 These are BPA-free tooth-colored materials which are made up of a resin-based matrix filled with microscopic granules (nanoparticles) of ceramic and glass. Larger cavities or teeth which have cracks are always restored with bonded porcelain onlays, which are very durable and biocompatible. 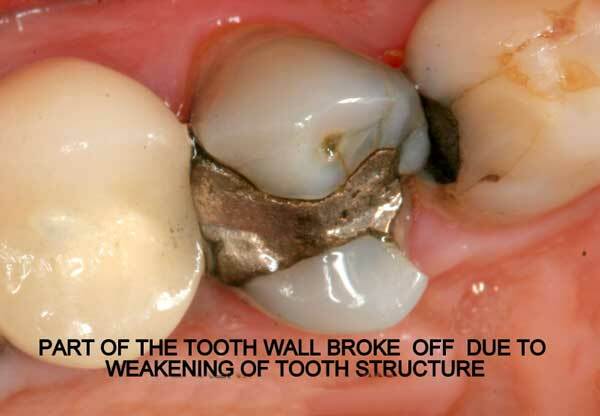 The porcelain covers the cusps, protects the walls from further damage, and withstands chewing pressures. 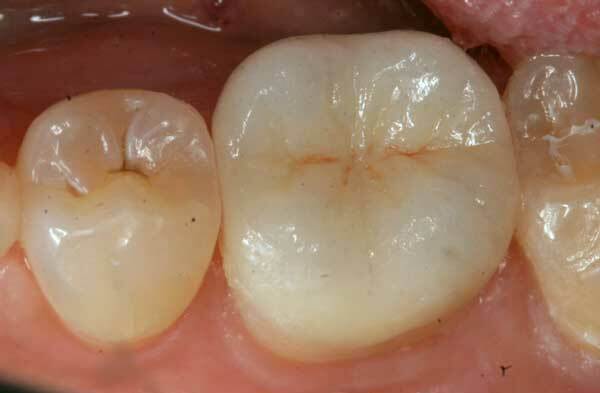 Their design is less invasive than full crowns, as healthy tooth walls are not ground down. 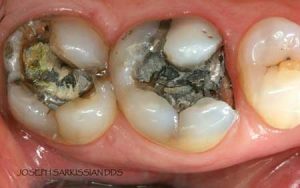 Following are a few showcases of Dr. Sarkissian’s own patients, outlining amalgam replacement, the damage caused to the teeth, and how they look like after being restored with a biocompatible substance (composite or onlay).